The Converse Blog: 'S Weapon Wednesday: Weapresent Sydney Shirt. Hello world, Wealcome to a Weapresent Weapon Weadnesday. 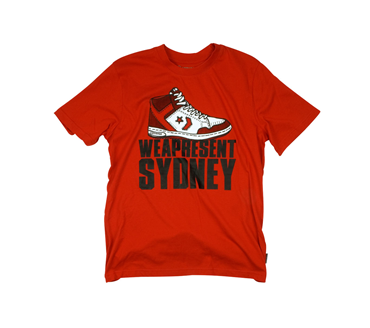 Today we've got a Weapresent Sydney shirt that if you live the Australia you could pick up at a Foot Locker near you. That's it for today, thanks for checking out the blog. Don't forget to vote in our poll and check us out on twitter @TheConverseBlog.